Need a tap replaced? Or maybe a toilet replaced? Welcome to The Handy Squad. Looking for London plumbers to replace your shower or sink? The Handy Squad will be able to help you no matter what you need replaced. Our plumbers are experts in both changing a set of taps up to an entire bathroom suite. Whether your appliances are not working efficiently so you want to replace them, or you want to renovate your bathroom or kitchen with new shiny pillar taps and table-mounted ceramic basins to make it look fresh and new – we are here to help. You can even go a step further and ask our London decorators for some kitchen or bathroom remodel ideas. All plumbing fixtures suffer wear and tear to a greater or lesser degree over time. When they stop working as intended, you could choose to have it repaired. However, replacing they could be a better alternative and possible a more cost-effective solution. 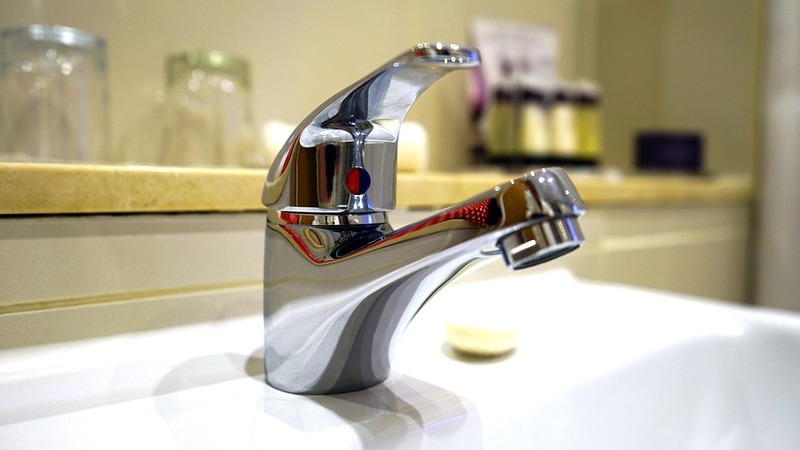 Our experienced plumbing team can replace your stainless-steel sink, ceramic sink, undermount sink, Belfast sink, waterfall taps, pull-out kitchen taps, brass kitchen taps, Monobloc taps, mixer taps, Grohe kitchen taps, or any other appliance you need replacing. Besides replacing your shower taps, kitchen taps, or any other water taps you have, we also do shower cartridge replacement, tap cartridge replacement, radiator replacement and shower replacement. When changing the location or position of the fixtures, we can advise accordingly to either alter and adapt the relevant pipe work to suit the new fixtures. The Handy Squad also offers a variety of other plumbing jobs in London you might require, from unblocking kitchen sinks to installing waste disposal units and repairing leaking taps. Additionally, The Handy Squad offers a variety of other services, including fitting new locks, jet washing stone steps, wallpaper hanging, UK & European removals, building partition walls, office maintenance & repairs and fixing faulty doorbells. If you are seeking professional advice or want to request a free quote today, you can give us a call on 0800-0-12-12-12 or simply fill out the online form.